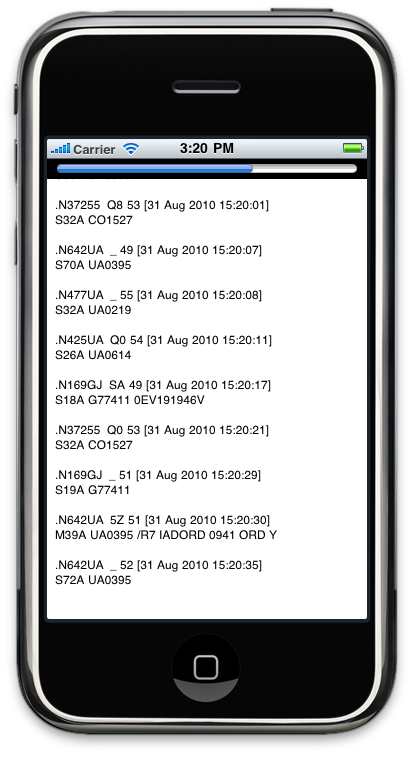 Decode ACARS Transissions On the Go! Want to display ACARS transissions, without using a bulky computer? 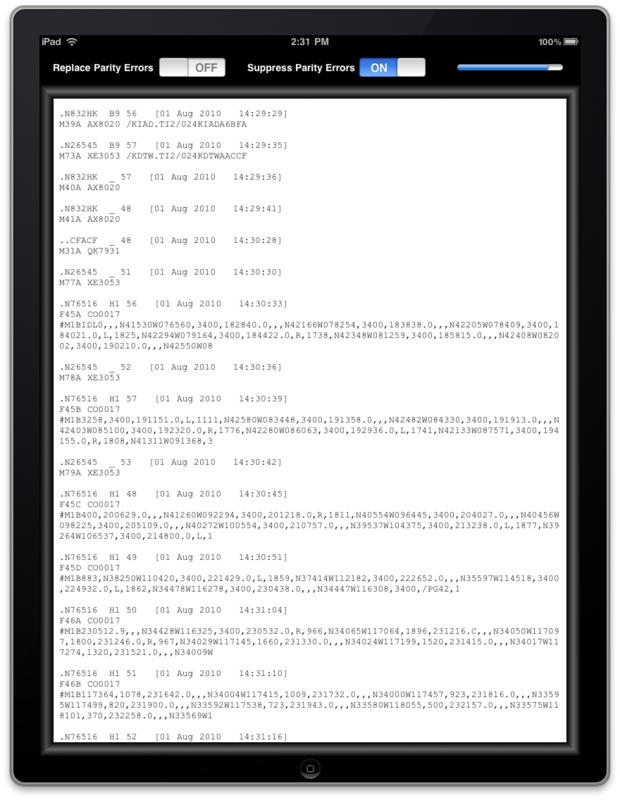 ACARS lets you view ACARS aircraft transmissions on your iPad, iPhone, and iPod Touch. Just set it next to the radio's speaker, tune in an ACARS frequency, and watch the decodes. Or for even better reception, use a pair of earbuds, plugged into the radio's headphone jack, rather than the internal speaker. Buy your copy right now, and start decoding and displaying ACARS transmissions in minutes. Visit the ACARS FAQ page for full details on how to use the app.